This year Villa Maria celebrate a decade of being the official wine partner to the EE British Academy Film Awards. 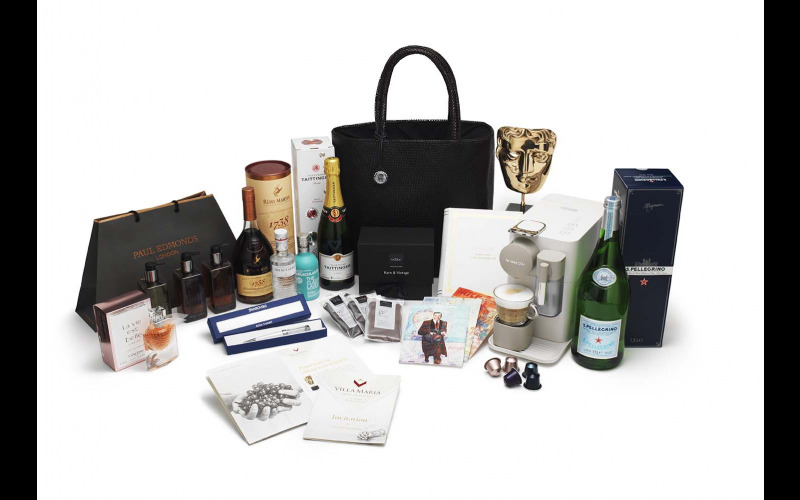 They are proud supporters of the arts and are delighted to offer one lucky reader the chance to win an Official Nominee Gift Bag that will be given to each nominee at the EEBAFTAs on 18th February 2018 at The Royal Albert Hall. The stylish and sustainably produced Bottletop tote contains a wide range of treats including an invitation to visit Villa Maria’s Cellar Door in Auckland for a wine tasting, lunch and winery tour; an exclusive EEBAFTAs labelled bottle of Champagne Taittinger in a gift box; an Atelier Swarovski crystalline ballpoint pen; the Curated Collection from Hotel Chocolat; a bottle of Lancôme’s La Vie Est Belle Éclat perfume; a Nespresso coffee machine; in addition to luxurious gifts from Paul Edmonds, Rémy Martin, S. Pellegrino and The Savoy.